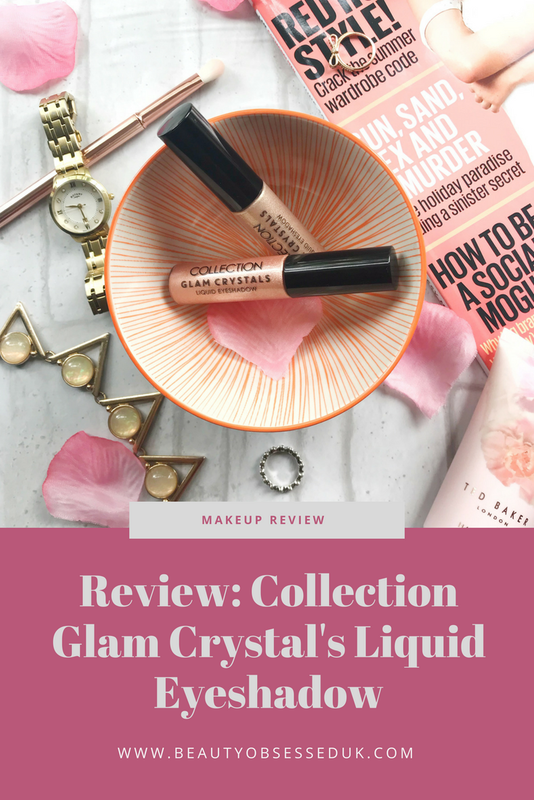 Review: Collection Glam Crystals Liquid Eyeshadow's! 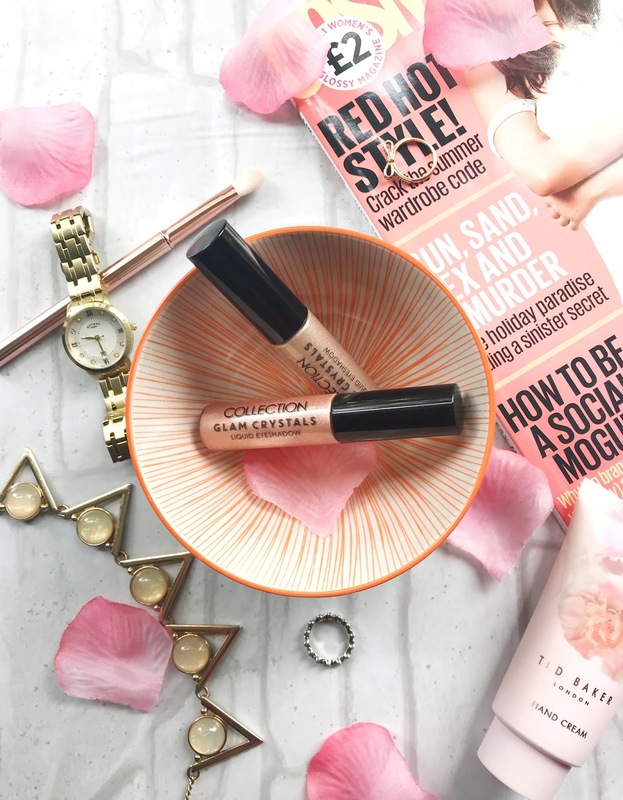 On a recent trip to Superdrug, I stumbled across these collections Glam Crystal Liquid Eyeshadow's that I've never actually seen before and the colours caught my eye straight away. As soon as I got home I began playing around with these and are actually really happy with the looks I came out with. Here I'll give you my first impressions on these liquid eyeshadow's. Before my trip to Superdrug, I had never actually know Collection did these liquid eyeshadows, I was really glad that Collection actually came out with these because so many High-End brands like Stila have liquid eyeshadow's but they are much more expensive (£23 for one!). These Collection Liquid shadows come in 4 different shades at only £3.99 each!, I was only able to get two of the shades Aura which is a shimmery gold and Divine which is a shimmery rose gold. The packaging for these liquid eyeshadow's is all plastic with a clear end to see the colour and a black lid and black writing on the clear end of the bottle. It's in a compact little container and it would fit easily into a makeup bag. It isn't too fussy in the packaging and I think that adds to the price not being really expensive! The applicator is a small doe foot which fits perfectly on your eyelid and also holds enough product that I actually needed to wipe the edges because there was too much product on the end. You can also apply this product with a brush if that's what you prefer. For this liquid eyeshadow, you get 5ml of product which I think is a great amount for this price. Other liquid eyeshadows like the Stila Glitter and Glow Liquid Eyeshadow have 4.5ml and the Urban Decay Liquid Moondust Eyeshadow is also 5ml but for more than double the price of the Collection one. 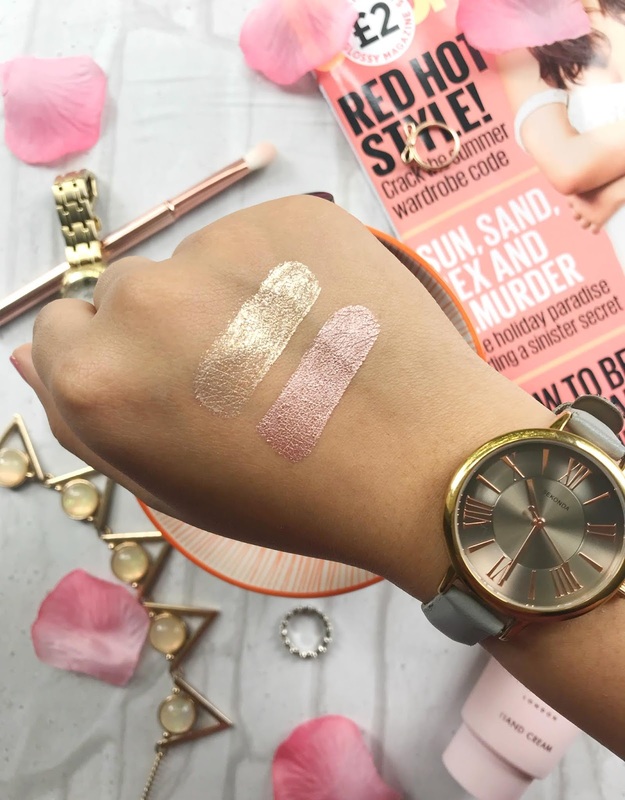 Before I used this product I swatched them on my hand and it swatched really well, the colours came out really nice and were slightly different in consistency. Aura is a more glittery consistency and isn't as opaque as Divine which is more of opaque colour and looks slightly more chrome than glitter. They dry down quite quickly but aren't completely transfer proof because I did wipe over the colours and a small amount of product did come off. 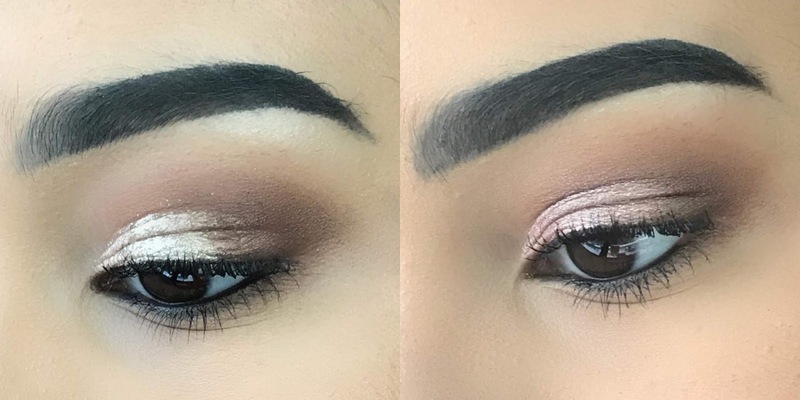 When trying it out on my eyes I started off by adding a crease colour and then went straight in with the liquid eyeshadow's, I first used Aura and applied it all over my lid with the applicator, it did feel quite wet but it did dry down pretty quickly. Once I let the liquid eyeshadow dry I then added a darker colour to the outer corners to bring the whole look together. The liquid eyeshadow lasted really well all day and didn't crease or flake off during the day. It looked as if I just freshly did my eyeshadow after an 8-hour shift! This product is perfect for anyone that loves a bit of shimmer and glitter. It is also great for anyone that doesn't have too much time in applying eyeshadow because this product really helps make the application much quicker than using normal eyeshadow. I will be going back to Superdrug to see if I can get my hands on all the colours! For the low price of these liquid eyeshadows, I think they are really amazing in quality and do really last all day and still look lovely. Would you try out the Collection Liquid Eyeshadows? I had never heard of the brand before! I am so ignorant when it comes to makeup! the packaging does look amazing! and how sparkling! Ooooh I've only ever tried the concealer from collection, but these look really good. I have actual glitters but i can never be bothered to use them so this might be an easier and lazier option. I love the rose gold shade. How have I never heard of these before?! I love my Stila glitters but I wish they weren't so expensive. The swatches are so beautiful. I need to pick up a few shades ASAP. NICE! They look like nice alternatives for the Stila liquid ones. I need to give these a try. I wonder where I can find these in the US? Beauty Hacks Tried & Tested! Review: Revolution Fast Base Stick Foundation! Whats In My June Birchbox!